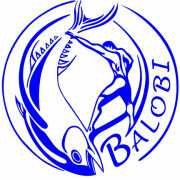 The Balobi Group of Companies is an integrated Fishing Group based in Port St Francis. They process, package and export squid, hake, pilchards and line fish. The Group’s fish packing and processing facility is in close proximity to the fishing waters where the finest quality fish on offer in the market place is caught. Fish is offloaded either fresh or sea frozen, then processed and packaged according to the client’s needs. Freshly caught long line tuna and swordfish is sent on a 36 hour journey by truck and airplane mostly to the USA and Japan. Sea frozen squid and long line hake is sold to all the Mediterranean countries and land frozen finger laid pilchard bait is sold to the tuna long line fleet operating in the Indian and Pacific Oceans. The Balobi Group founder, Anton Viljoen, started commercial fishing on a small scale with his own ski and deck boats in the early 1980s. Since then the Balobi Group has developed into a well-established group of companies. .
DMA Fishing mainly export hake to Spain and squid is sold to all the Mediterranean countries. Pilchard is sold and exported as bait. One of the founders of DMA Fishing, Don Christy, was a legend in his own right. Early in 1983 Don and his son Mark landed a catch of chokka in Plettenberg Bay with the intention to sell it as bait. They met a fish exporter Andrew Kaye, who knew that this fish was sold as a high-priced delicacy in European food markets. Don and a few others were soon exploring potential export markets for South African squid, and the multi-million industry as we know it today was born. The center of the fishing grounds is off St Francis Bay. Mark was joined by his brother Greg and the business now is involved in the catching, packing and processing of not only squid, but hake and pilchards. Their factory, D Christy and Sons, is based in Humansdorp. 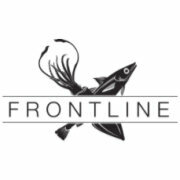 The members of Frontline Seafood Traders have been involved with the fishery since 1985. The members were one of the pioneers of the Loligo Squid Fishery in South Africa. Members have been involved in the fishery from the catching, processing and marketing of squid products and therefore have an all round understanding of the fishery and the administration thereof. 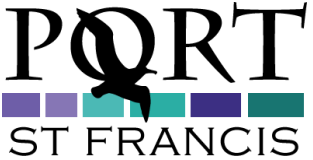 The staff and key people which keep this organisation on an even keel are all experienced in all aspects of the business and are an integral part of the success of the business. The key members are Greg, Debbie and Nicolas Christy. Our admin team are Beverly, Shona, Marilyn, Shaida and Ian. 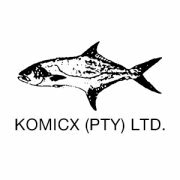 Komicx Products started in October 1992 with premises and cold storage in Kommetjie, a small fishing village in Cape Town, South Africa. The object of the company was to catch, process and market fish allocated to it by the Department of Environment Affairs in South Africa. Prior to being allocated its own fishing quotas the company bought in fish from local fishing operators which it processed to supply export markets and formal and informal local market traders. This, and the processing of various fish species on behalf of the local fish traders is still an important aspect of our business. Komicx Products, with head office in Cape Town, has a long standing relationship with the fishing industry. 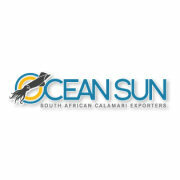 The St Francis branch operates its vessels from Port St Francis, catching, processing and exporting Squid directly from their cold store in St Francis Bay to clients in the European Union. Our fleet operates along the Eastern Coast of South Africa. All vessels comply with SABS (NRCS) standards. Our crew are HACCP trained and work diligently to bring our customers the best squid in the world. All our vessels are all equipped with the most modern blast freezing equipment to ensure that our product is of the highest possible quality. All our squid is caught by hand line off the sides of our vessels. The vessels can blast freeze +/- 4 ton at a time and have a maximum holding capacity of15 ton. We try to offload as often as possible to ensure a quality product. Loligo Reynaudi is only caught in South African Waters and is known for its taste, texture and quality, rated as some of the best squid in the world. We fish mainly during the daytime during summer and at nighttime during the winter months.